Performing Live Comedy is for anyone who has ever thought about getting up onstage and being funny or for those who have already started. 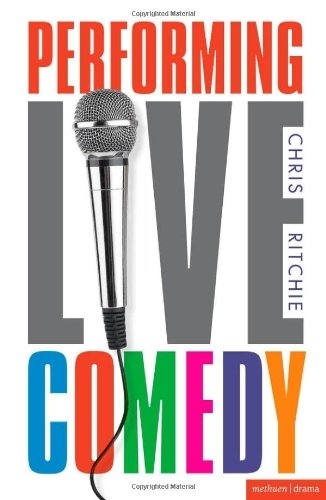 It offers a breakdown of the process of live comedy and provides a basic toolbox for the student and aspirant comedian, covering all aspects of live comedy such as stand-up, music, double acts, ventriloquists and magicians. Gender, sexuality, ethnicity and disability are also covered in this book as well as ethical considerations on what we should or should not joke about. The book breaks down the entire process of live comedy from writing a simple one-liner to creating a complete act, from organizing an open spot at the local comedy club to getting into the Edinburgh Festival and running your own venue. Performing Live Comedy is full of advice and original interviews with comedians and writers currently involved in the comedy industry such as Shazia Merza, Henning Wehn, Ed Aczel, Paul Zerdin and Lucy Greaves. Chris Ritchie created the innovative Comedy: Writing and Performance degree at Southampton Solent University. He is the principal editor of Comedy Studies Journal (Intellect) and has been lecturing on the performance, writing and mediation of stand-up comedy since 1994.